Should you appear for JEE Main 2019 April exam? 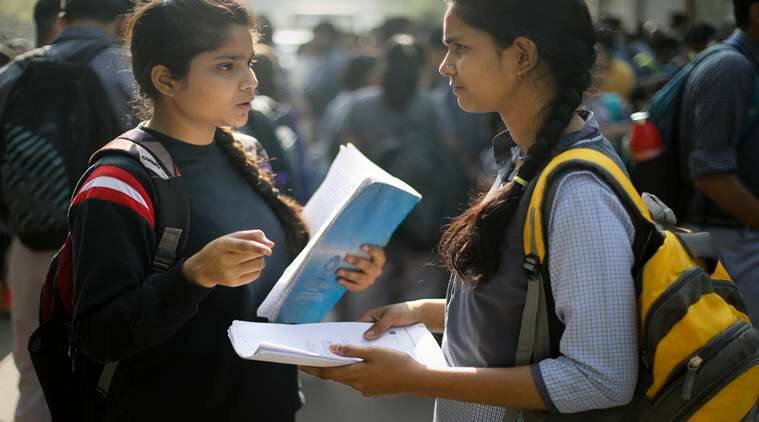 JEE Main 2019: The National Testing Agency (NTA) will be conducting the Joint Entrance Examination (JEE) Main 2019 again this year in April. The registrations for which will begin from January 8 at the official website, jeemain.nic.in. Despite scoring decent percentile, many candidates are planning to re-appear for the JEE Main. Cracking JEE Main and later JEE Advanced will ensure a seat in architecture and engineering graduate courses in country’s top universities. The first leg of the exam was conducted in January where 8,74,469 candidates sat for paper I (engineering) and 1,45,386 candidates appeared for paper II (architecture) exam. While this year only 9 lakh have appeared so far out of which, 13 students (11 in paper I and 2 in paper II) have secured 100 percentile score, can we expect a low registration and lesser competition in the JEE Main April exam 2019? On the contrary, many students including the toppers have expressed a desire to appear for the exam again in pursuit of a better percentile score and better rank. Talking to indianexpress.com, Uttrakhand topper, Pallav Semwal said that he would be reappearing for the April exam. He stood first in the state with 99.95 percentile but wants to get a better rank and score this time. He aims to study at IIT-Bombay and has already started preparing for JEE Advanced (competitive exam for entrance to IITs). While the percentile score has made 13 students get a perfect 100, there would be only one who would attain all India rank (AIR) 1. This has lead to a more cut-throat competition; with even the 100 percentile scorers attempting for a better rank. Shubhankar Gambhir, a resident of Kota, Rajasthan who secured a 100 percentile in his first attempt is planning to register for JEE Main II. “It is a good idea to appear for April exam too as it will be held right ahead of the boards and would act as a full syllabus preparation test. If I happen to get a better score in the subjects in the second attempt, it would only act in favour of me,” he told indianexpress.com. Wouldn’t it mean facing the same pressure twice? “Since I have already prepared and appeared in JEE Main I, the second attempt should not be tough,” Gambhir said. Even the JEE Main paper-II topper, Gullapudi N Lakshmi Narayanan, who secured 100 percentile in B Arch exam and 99.91 percentile in JEE Mains I, said that he will be reappearing for both the exams in April. “I am happy with my score but I will try to secure a better rank by reappearing in the exam again. Since only the best of two will be counted, it might help me increase my rank and give me better chances to getting in IITs,” he said. But does this mean more competition for people with less than 90 percentile score? Partha Halder, centre head, FIIT JEE, Punjabi Bagh which produced double-digit students in 90+ percentile in January exam said appearing for the JEE Main II has no loss for students. He also advised that those who have their goal to secure admission in IITs should rather focus on JEE Advanced. “The candidates who have secured good marks and percentile in JEE Main, January 2019 and aspire to join IIT should look at maximising their performance. While they can appear for JEE Main April 2019 to gain exposure to an all India-level computer-based test (as JEE Advanced is also held in CBT format) but they should aim to prepare for JEE Advanced. While those who have secured reasonably good marks in JEE Main January 2019 and aspiring to join a good NIT or IIIT, their goal at this point in time should be to score better in JEE Main April 2019 to get an admission into a good college or stream of their choice,” he said.